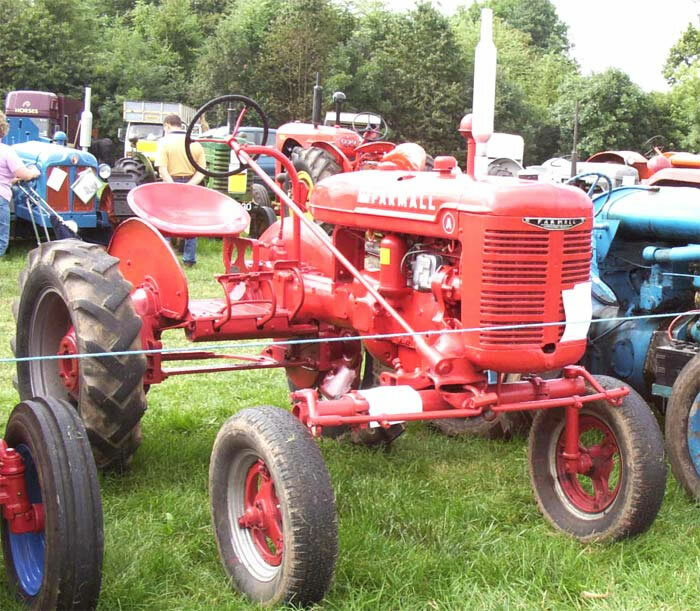 The International McCormick Farmall Model A Tractor was built by the International Harvester Company of Chicago, Illinois, U.S.A. The Model A was produced between 1939 and 1947. The 113.1 cubic inch engine produced about 14 HP at 1400 RPM. Transmission was via a four forward speed and one reverse speed gearbox.